With more than two decades of international leadership, Bhushan Ivaturi has led the business of technology, while shaping and transforming organizations across several industries. 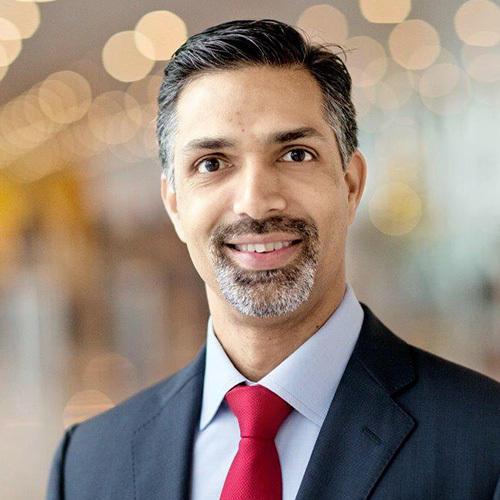 As the Senior Vice President, Officer and CIO of Enbridge (NYSE/TSE: ENB), Bhushan leads the enterprise’s information technology; cybersecurity; process simplification and digitization; operational technology; Data as an organizational asset; and Digital. Bhushan has shaped the strategy for Digital business, Technology and Information Services while passionately building a healthy culture and developing talent that is winning together. Prior to Enbridge, Bhushan was Vice President and global CIO of Maersk Oil & Gas, where he shaped the vision for global technology, created a winning team culture, developed people and a digital core that delivered competitiveness, differentiation, and scalability of the business. Prior to Maersk, Bhushan served as an executive at General Electric and in the high-tech sector. In an increasingly volatile, uncertain, complex world, what keeps energy leaders up at night? How do they manage the ups and downs of leading their businesses in pivotal times? What shifts do they see and how are they addressing the changes in our industry?